Awnings are overhangs that protect your home from the outdoor elements. Usually attached to the outer walls of buildings, awnings are installed to guard you and your home from the rain, the wind, and the sun. They can be attached over porches, above windows and doorways, and even over patios. Today's awnings are increasingly more versatile with some installations being able to roll in and out on a push of a button. 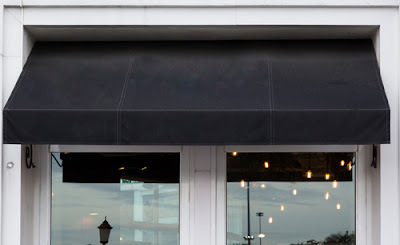 Awnings remain to most effective way to provide cover for you in your home and may also be seen decorating the front of shops and restaurants. There are stadiums that make use of motorized awnings which roll out on any sign of rain. Making use of awning will instantly give any home or establishment that classic look and feel as well. Stationary awnings are installed permanently on the outside of the edifice. These are year-round fixtures and as such, need to be very strong and durable. They may be made of completely of metal as they will surely have to deal with a lot of rainfall and the build up of snow during winter. Installation of the awning will require the aid of an expert. These awnings are easily attached and detached for your convenience. This means they may only be installed when needed. Portable awnings are the best for social gatherings or events. They are the most cost effective of all the types of awnings and arguably the most versatile. Set up is fairly easy and can be done without need of an expect. Do your research first however as to minimize mistakes. The most common and popular form of awning, retractable awnings basically manually operated by hand to expand and retract. They are mostly used for patios and porches. Retractable Patio Cover - Waterproof as opposed to water-resistant, they enclose from the top and sides. Retractable Lateral Arm - A variation of the awnings popular during the last century, these awning are operated by use cranks and tension. Retractable Side Arm - Used mainly to provide shade from sunlight for windows. 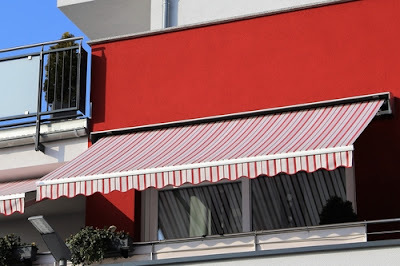 They are often referred to as the traditional style of awnings. Retractable Solar Shade Screen - This allows the owner to have a view past the awnings but still have the sun rays deflected. Made usualy with acrylic canvas, this awning will block out the heat but not the light. Motorized awnings make use of electricity in place of cranks to fold and unfold itself. This is highly convenient since all you need to do is flip a switch or push a button. On the other hand, installation of motorized awnings is the priciest and is prone to malfunctioning. Luckily, cranks are still provided in case this happens. These can be either stationary, retractable, or motorized. The serve only to block sunlight at an angle and provide shade. They are attached above windows and will also give your come that classic 19th century look that's never gets old. Decide first for what purpose your awning will serve. Is it just to block out sunlight or is it the protect that which is placed under it. 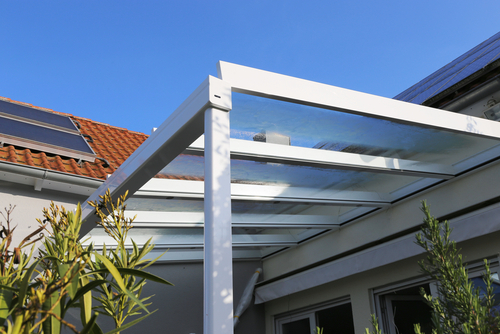 Each kind of awning works best in different environments and households, speak to an expert if you don't know where to start. Knowing what you want your awning to do will define your decision concerning it's type. Know what is your budget and how much you can reasonably spend installing these overhangs in your house. This is not just a monetary question though, know also how much time and work your willing to put into its maintenance and upkeep. Maintenance costs money too. With an idea of what you can afford will narrow down your options and make it easier for you to choose. Both have perks and both have their downsides. Stationary awnings will likely required less maintenance but is constantly exposed to harsh outdoor weathers. Getting a retractable awning will be more convenient and versatile, but if one Bolt or screw breaks or goes missing, the entire fixture will not operate properly. Weigh their pros and cons, talk to an expert if you must, and decide which works best for you. Do you prefer bold colors or the classic stripes? Polka-dots maybe? How about your own personal logo? This aspect is entirely up to you. Select the one you like best or the one you feel will greatly accent the look of your home. You will find that awnings come on all kinds of shapes and sizes with a myriad of different designs. Finding the one you want will be a walk in the park. Don't rush and be sure to take your time with this process. Take into account all this info and you will have beautiful awnings decorating your home in no time.